Chihiro Minato was appointed as the Artistic Director of Aichi Triennale 2016. Aichi Triennale, one of Japan’s largest-scale art festivals and an object of international attention, has already held two very successful festivals. In view of this, I am naturally feeling the enormous weight of responsibility associated with accepting the task of artistic director. I am resolved to fulfill my new duties to the very best of my ability. Aichi Triennale has many characteristics that distinguish it from its domestic and overseas art festivals — it is a celebration in and of the urban space; it is spatially unbounded, actively permitting content to spill out of museums and into local streets and neighborhoods, and it has a spirit of inclusiveness and cooperation, as demonstrated by its embrace of performing arts. Inheriting these and other attributes that contribute to the appeal of Aichi Triennale, I look forward to working with experts in Japan and abroad to create a new stage suitable for the year 2016. To share a little about my background, I have been an artist specializing in photography. Currently I teach at an art university while conducting research in the fields of art anthropology and visual anthropology. A common theme I have consistently pursued in my career as an artist and researcher is the human being. Art is no less than one of the most important activities humankind has devised in the course of the countless challenges associated with surviving on Earth. Those cave paintings and images serve as points of reference when discussing intellectual activities of humans, and it attests to the fact, I believe, that humans have become human through the very act of creating art. Human progress achieved by creating something new always inspires me. The mediums of photography and the moving image are very recent newcomers to the history of humankind, which spans tens of thousands of years. However, it has taken less than 200 years for these mediums to evolve into their current forms and penetrate deeply into all aspects of our lives. Their combination with information and communication technology has turned Earth into one big “planet of moving visual images.” Should we choose to do so, those of us alive today can access the entire vast array of human technology, ranging from stone implements to artificial satellites; come to think of it, nothing could be more exciting. One wonders where creativity resides in this time and age, when the distance between maker and receiver is shrinking by the minute. It is also true, however, that the urban civilization founded upon this vast body of technology harbors a huge risk. I was personally very moved by how Mr. Taro Igarashi engaged forthrightly with the post-disaster situation, and made that the theme of the 2nd Aichi Triennale. I think that having a solid perspective on urban civilization constitutes the philosophical value of this art festival. I am almost certain that the experience of Aichi, a region with a long history of manufacturing, can serve as a rich source of inspiration to Japan and the rest of the world, a nation that is by no means out of its very serious difficulties yet. An art festival is a journey involving many, many people. Learning from place, history and lives, I look forward to playing a role in putting together a creative journey, which will prove a positive experience for everyone taking part. 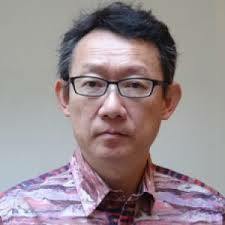 Born in Kanagawa in 1960, Chihiro Minato graduated from the Department of Political Science, School of Political Science and Economics, Waseda University in 1984. Following that, he started working as a photographer and a writer based in Paris. In 2002 he was appointed researcher at Wolfson College Oxford University. In 2007 he was appointed commissioner of the Japanese Pavilion at the 52nd Venice Biennale. Since 1995 he teaches at Tama Art University and the member of Art Anthropology Institute. He does research, production work, exhibition, publication, and curation covering a wide range of civilization themes such as “crowd,” and “memory.” He received the Suntory Academic Award for Social Sciences and Humanities for his written work Memory—The power of creating and remembering and the Ina Nobuo Award for his exhibition Chromatic of the Citizen. His current works are Walk in Paris, Recurrence theory of the Art (2011), Jomon in your hand (2011), The voyage into the Void (2012) .